You are here: Home / Law School Admissions / Which Top 50 Law Schools Accept the June LSAT? Which Top 50 Law Schools Accept the June LSAT? In the last few years, there has been a seismic shift in application deadline dates, which greatly benefits current applicants. A decade ago, only a few schools accepted the results of the February LSAT for fall admission later that year, and many application deadlines were in January (if not December). Fast forward to today, and the situation is much changed! Almost every school now accepts the results of the February LSAT, and, as the table below shows, a significant number of schools in the Top 50 now accept the results of the June LSAT (and many more outside the Top 50 accept June results). In other words, if you are reading this today and have yet to take the LSAT or apply to law school, you could still apply now to a number of schools and attend this fall. Previously, that was unthinkable. In recent years, the June LSAT has become very useful for law schools applicants attending law school that same year. As I explained in a post from last March called The June LSAT and the Law School Wait List, the results of the June LSAT can be used to help improve your admission chances if you are on the Wait List and to strengthen your position when negotiating a financial aid package. Now, with application deadlines moving later and later, in some cases the June LSAT can be used a direct pathway to admission this year. 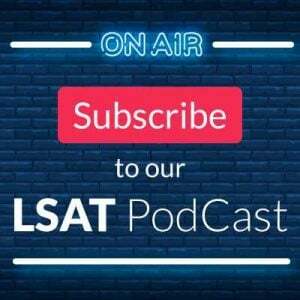 These days, the February LSAT is the new December LSAT (every school accepts it), and the June LSAT is the new February LSAT (many but not all schools accept it). Equally important, schools at every level accept the June LSAT. There are schools in the Top 25, Top 50 , Top 100, etc. One important note: when we say “accept the June LSAT,” we mean that the school would use that as the first and only LSAT you’ve taken. Most schools will consider June results if you already have a prior LSAT score, but we wanted to look at schools that would consider applicants who had no other LSAT score aside from one taken in June of that year. Rank: The rank for each school was drawn from the US News & World Report Best Law Schools rankings. Schools are listed in numerical order. School Name: This one is obvious—this column identifies the name of the school! If a school is ranked in the USNews Top 50 but is not listed below (such as Yale, Harvard, and Stanford, among others), it means that the school does not accept the results of the June LSAT for admission that fall. Hard Application Deadline: A hard deadline is the date after which the school will not consider or review newly received applications. Having said that, a number schools mentioned that the number of unfilled spaces affected how they viewed their “hard” date—if they still had spaces available in their classes, they might accept applications after the deadline. In these cases, the law schools uniformly stated that the chances of admission were lowered (though this was said to be unlikely, this certainly makes the deadline far less “hard”). Soft/Priority Application Deadline: Law schools that have a “soft” or “priority” deadline will guarantee full consideration for all applications received by that date. These early applicants are sometimes notified of an admissions decision by a certain stated date, and they may be granted priority consideration for financial aid and scholarships. Applications will be still be accepted after this soft/priority deadline, as long as there is available space in the entering class. Notes: To compile this list, we talked with the admissions office at each law school. 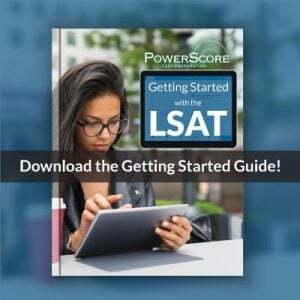 In some cases, they had additional thoughts or considerations about the deadline or use of the June LSAT, and we added those thoughts in this column. Let’s take a look at the list! Note: This article was updated 3/2/18. We contacted each of the top 50 schools and have updated the chart below. It’s worth noting that only Georgetown, Washington University, University of Iowa, and Arizona State said they would consider the July scores, but at that point you would likely be on a waitlist. 4 University of Chicago 3/1/2018 Chances for acceptance are lowered if you only take the June LSAT, since the application will not be considered until the score is received. 11 Duke University 2/15/2018 2/15/2018 They do not recommend the June LSAT but will accept it; the applicant will most likely be put on a wait list. 14 Georgetown University 3/1/2018 If waiting for a score, submit app and it will sit in the queue, then automatically update when scores are released. 18 Washington University in St. Louis Due to rolling admissions, it is possible that class will be full by the time the June LSAT scores come out. 20 University of Iowa 5/1/2018 They caution that the class will possibly be full by the time the June results are released. 22 University of Notre Dame 3/15/2018 They accept June scores if the student is waitlisted. 25 Indiana University, Bloomington They accept June scores but strongly encourage students to apply early. 25 Arizona State University 3/1/2018 They’ll accept the June exam if spaces are still open, which is unlikely. 25 George Washington University 3/1/2018 Waitlist process begins in April. 40 Washington and Lee University 3/1/2018 Will take July LSAT into consideration as well. 45 University of Utah 3/10/2018 2/15/2018 Will continue to accept apps as long as spots are open. Chances of scholarships are very low for late apps. 45 George Mason University 4/1/2018 Deadline was extended last year to Aug. 1st, and the June LSAT was accepted. They won’t decide whether to do that this year until after April 1. 48 University of Florida 3/15/2018 Will continue to accept applications as long as spots are open. 50 University of Houston 2/15/2018 Any application received after the regular decision deadline will be considered at the end of the process on a space-available basis. One important note is that many schools told us they would accept applications until they filled the class. And, that because of rolling admissions, the chances of acceptance decreased as time passed. So, while still accepted June LSAT scores, some schools wanted to make clear that the chances of admission were likely lower (but that said, if you show up in late July with a 4.0 and a 180, you are getting in at most schools!). If you have any questions or comments, please do not hesitate to post them below! which schools outside the top 50 accept june lsat scores (first and only lsat taken)? Thanks for the question! Many of them, actually! We’re in the process of cataloguing all of them, and posted this list of schools from the Top 50 as a starter. However, given the amount of time required to talk to each law school, the full list won’t be up for a while. So, if there’s a particular school or set of schools you are interested in, I urge you to contact them directly and ask about their policy. From what I’m seeing, the schools outside the Top 50 accept June at a higher rate than those in the Top 50, so the chances are pretty good that any given school would accept the June results. Please let me know if that helps. Thanks! Thank you for compiling this list for us all. I have one question. From what I understand of the application process, LSAC sends the application to the law school when the application is complete(including the LSAT score). If this is true, how can a school have an application deadline earlier than the release of the June LSAT scores? Or do I not understand the process? The law schools basically want you to tell them you are applying prior to their deadline. In other words it’s like getting in a reservation for a restaurant before a certain time (“Call by Monday to reserve a table for this weekend!”). LSAC will send out most of your hard info and LOR/essay, and so what you are also seeing is that those schools want everything else non-LSAC (really, non-CAS) in their hands before the deadline too. Thanks for taking the time to create this list. I wanted to ask if there deadlines still apply for the 2019 spring semester at these schools? Or will there be another updated list for this year? The deadlines will likely apply for 2019, but none of this has been confirmed for the year yet. We’ll probably look to update those in a few weeks, but our expectation is that if anything, there will be even more schools on this list. the admissions window has been staying open later and later, and I haven’t heard of any schools shortening the timeline. So, check with any individual schools that concern you, and we’ll update this relatively soon. You said that only 4 of the schools said that they would accept the June lsat score. Did the others not reply back or did they say they wouldnt, Uchi in particular? I did not make this set of calls, so we’ll need the callers to answer that question. Last year, however, they all indicated one way or the other that they’d use those scores if they received them. The standard view has come to be that if you can post a high score–even very late in the process–you always have a shot as long as you submitted an app by the so-called “official” deadline. I’ll have one of the admins in charge of the survey drop by and get more specific, but if you need info on a specific school immediately, the best policy is always to call them yourself and hear what they say (because it can change form week to week). the very top schools tend to be less flexible, though (because they don’t have to be). Thank you all for taking the time to update this for 2018. Would you know if UC Irvine’s hard deadline is among the slightly less hard? When we spoke to the UC Irvine admissions office, they confirmed that the hard deadline was 3/1. It’s worth calling to see if they ever make exceptions, though! Some schools extend their deadlines or will allow you to be put on a waiting list. I should add that they also told us that classes usually fill up in April. I’d like to clarify something here…every school on this list will accept the June LSAT score as your first LSAT (as long as your application is turned in before a stated due date if applicable). The 4 schools referenced are the only ones that will accept the JULY 23rd test, although we didn’t get a firm confirmation from U Chicago on that test since they told us that classes would likely be filled by that time. We were surprised to find that most of the admissions folks hadn’t even heard that there was a new July date. As Dave mentioned, it’s always a good idea to give them a call if you have questions. Thank you all for taking time to gather this information. I don’t quite understand how it works if I already have LSAT scores on file. I am not confident with the score I have and would like to seat for June and have that considered. When should I apply to maximize my chance? 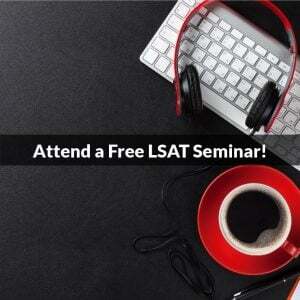 Now or after taking the June LSAT? I am looking at T14 and have an LSAT score at/above the median of the lower T14 (not promising considering my background and late application). Thanks for the question! The first rule is to to apply by any deadlines the school has. that way, you are officially in the applicant pool according to their rules. Second, you can then notify all schools that you are retaking the LSAT in June with the intent of strengthening your position as an applicant. This is fairly normal, and schools get messages like this all the time. From there, it depends on the school as to what they will do. If some like the numbers you have, they might admit you before you take June; others might put your app on hold until June; and last, if a school feels there is no LSAT score that will get you in, they might reject you. As far as late applications, the standard rule is: if you have good enough numbers, they’ll get you in. The applicants most hurt by applying late are those on the very borderline. The LSAT is the single most important part of your application, so taking a chance on June is almost always worth it. For some schools, it could be the decider in your favor, so study hard!